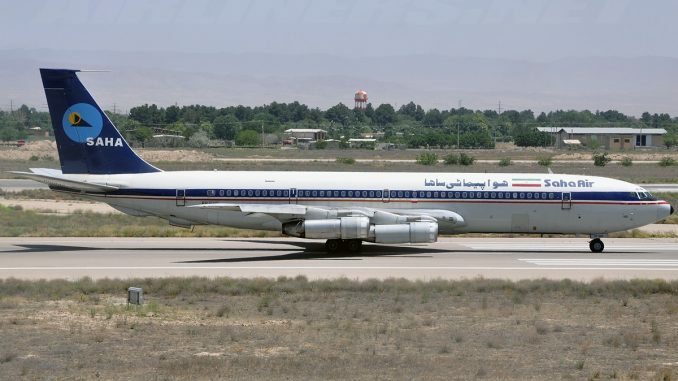 An Iranian Boeing 707-300 cargo aircraft, operating a Saha Air flight from Bishkek Airport in Kyrgyzstan to Payam Airport in Iran, has crashed following a runway overrun after attempting to land at the wrong airport. Initial reports say that 15 people were killed and one injured. 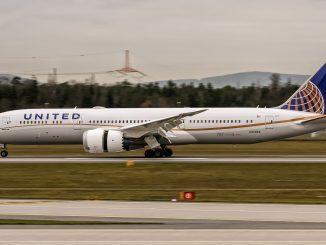 According to several sources, a total of 16 people were on board the aircraft; this information is yet to be confirmed. The aircraft, registered as EP-CPP, crash-landed at Fath Airport which only has a runway length of 1300 meters (4265 ft), instead of Payam Airport (IATA code PYK) were it was scheduled to arrive. Fath Airport is a military aerodrome and is situated a few kilometres south-east of Payam Airport. Payam is located about 50 kilometres (31 miles) west of the Iranian capital Tehran. Officials in Iran blame the accident on a pilot mistake. Although the flight was operated for Saha Air, the 1976-built Boeing 707-300 is owned by the Iranian Air Force. In 2005, a Saha Air Boeing 707-300 passenger aircraft overshot the runway during landing at Tehran Mehrabad Airport. Of 169 occupants, three died in the crash.